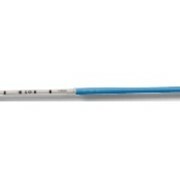 4.67mm CH14 Hysterometer dilates the endocervix and measures the depth of the uterine cavity with a nozzle of progressive dilation from CH10 to CH14 over 25mm, this CH14 is suitable for Mirena™ Bayer. Indicated for the fitting in of the progestogen IUD (intra-uterine contraceptive device). Available in 4.67 mm diameter with a nozzle of progressive dilation, from CH10 to CH14 over 25 mm. Mention MedicalSearch so Contiform OBG can best assist you! Get a callback from an expert at Contiform OBG to help answer your questions.